This conventional seed certified potato is an old favorite that is coming back strong. 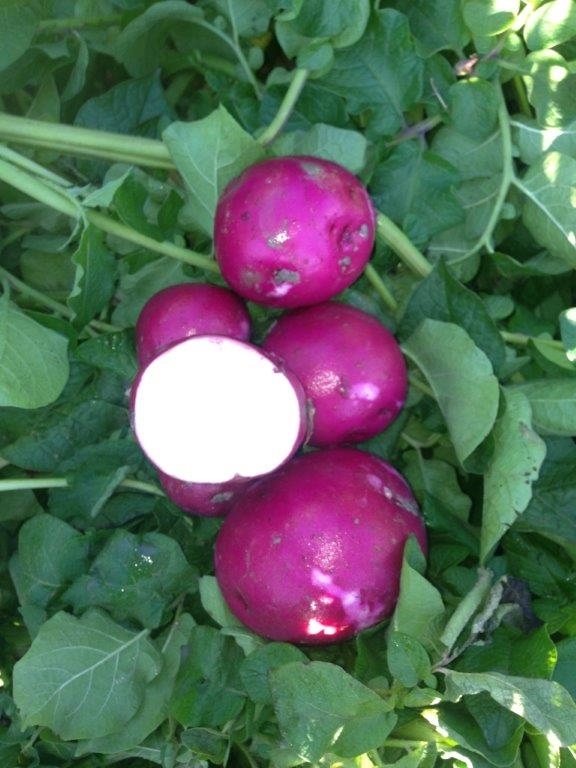 A big vine that can produce large tubers if left full season. Deeper eyes in a bright red skin with very white flesh. Sets up to 10 tubers per plant, hard to miss with this one. It's great fried, mashed, or in salads.